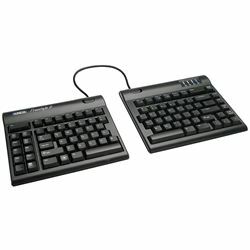 Type with ease with this adjustable keyboard. Just position the two pieces in a comfortable fashion and your hands and wrists will feel at ease. Comes with palm supports to add comfort for your hands and also three angle V-lifters for wrist stability.